The official logo of International Women's Day. In case you missed it, yesterday was International Women’s Day—and we’ve been celebrating at the blog with a series of posts on equality and diversity. Like many other institutions around the world, there’s a drive within the University of Glasgow to actively promote equality and diversity across all schools and colleges. One of the ways in which it does this is through something called Athena SWAN. In this post, I’ll give you a brief introduction to how the Athena SWAN initiative relates to PGRs. Most of the information was provided by Katie Farrell, the University’s own Gender equality officer. The Principles of the Athena SWAN Charter relate, in large part, to the policies, practices and procedures around the recruitment, support and career progression of academic staff and students. From its launch in 2005 until mid-2015, it focused on the advancement of women in Science, Technology, Engineering, Maths and Medicine (STEMM). Now, it relates to all academic disciplines, as well as professional and support roles, and support for trans people. The charter now also recognises work undertaken to address gender equality more broadly, not solely barriers to women's progression. There is a University level award (Bronze through to Gold), as well as school or institute awards. The process to get these means looking at the staff and student data in relation to admissions, attainment and career transitions to see whether there are any areas where one group might be disadvantaged. After analysing the data, an action plan is written to address any issues identified. Both the analysis and action plan are submitted to an external Athena SWAN assessment panel, who decide on which (if any) award to give. Will you even notice an award? For one thing, simply going through the above process will hopefully raise awareness around issues relating to diversity in both staff and students. It is also hoped that it will encourage both groups to be more observant and challenge practices that may be damaging to gender equality. Such things include all male conference speaker line-ups, or holding meetings/research seminars on days and times that exclude people who work part-time or have caring responsibilities. An image of tablet showing a close up view of the dictionary definition of bias. Only part of the definition is visible. 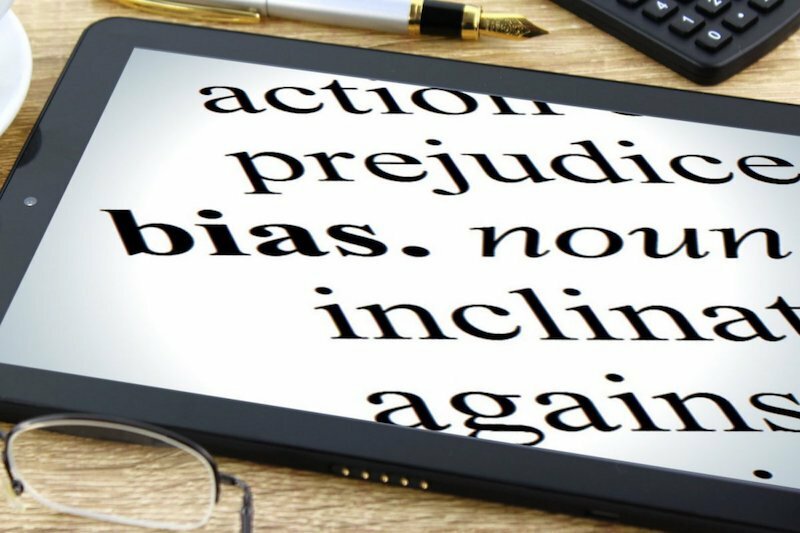 The University has also introduced unconscious bias training for people on recruitment panels, as well as for those sitting on internal REF review panels. The training is available to all staff and students, and is worthwhile undertaking yourself—isn’t it always useful to see if there is room for self-improvement? You might also want to consider the impact that the unconscious bias of others can have on you, say when you are asking for a reference. The UofG runs a Parent Buddy Network as part of their Athena SWAN initiative. Although initially only open to staff, recent work has gone into extending the buddy system to students as well—something positive that has come from my previous PhDs & Parenting Post! The University has also thought carefully about how they can make their Lord Kelvin Adam Smith Fellowships scheme more attractive to female returners and part-time workers, e.g. learning from the Daphne Jackson Trust and Medical Research Council in this area. 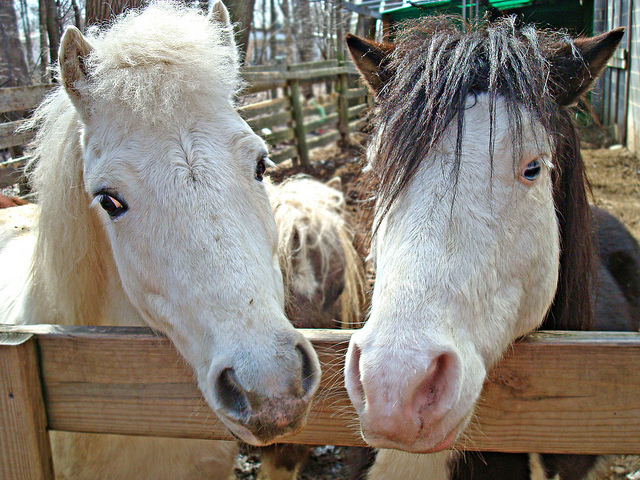 An image of two white horses side by side, leaning over wooden fence/gate. If you are hungry for more information, then reading about the University’s Gender Equality Steering Group and Athena SWAN action plan should satisfy you somewhat. But it’s likely that your school or research institute will also be drawing up their own analyses and action plans—they’ll be interested in the perspective of PGRs. Contact Katie Farrell if you would like to get involved with any of the above initiatives. Take the unconscious bias training described above. Look critically at event speaker line-ups and ask whether they reflect diversity. Support diversity initiatives outwith the University, for example the Royal Society of Chemistry’s 175 Faces of Chemistry campaign. How you get involved is entirely up to you. There are plenty of opportunities for you to flex your feminism, encourage equality and defend our diverse institution. Let us know in the comments or on Twitter about any initiatives I’ve missed—it was impossible to cover all of the one’s I’m aware of, nevermind the ones that I’m not.